Urban Laminated Tote Bag is one of our newest recycled bags. Our natural color laminate material provides a subtle canvas-like appearance. 105 combined GSM matte laminated tote bag. with a large non-woven polypropylene pocket on the front for your imprint. 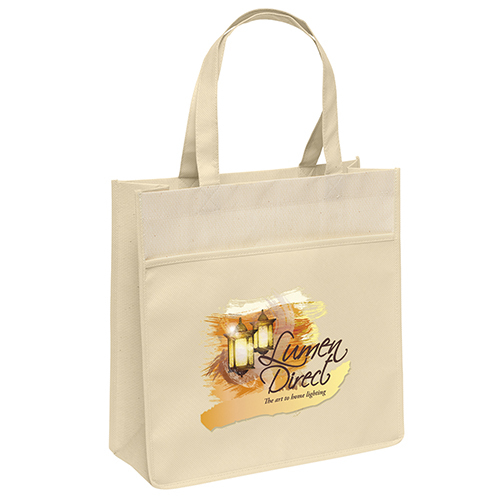 See other great laminated tote bags we offer here. 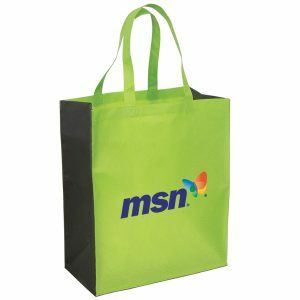 Take your next marketing campaign to the next level with any of our high quality eco friendly bags. Urban Laminated Tote Bag is one of our newest recycled bags. Our natural color laminate material provides a subtle canvas-like appearance. 105 combined GSM matte laminated tote bag. with a large non-woven polypropylene pocket on the front for your imprint. 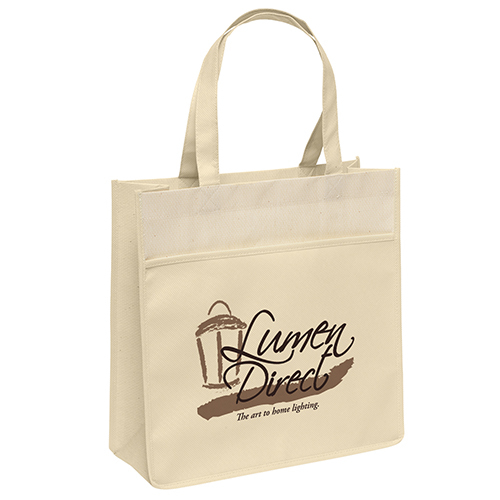 See other great laminated tote bags we offer here. If green recycled bags are what your company is looking for, you have come to the right place. 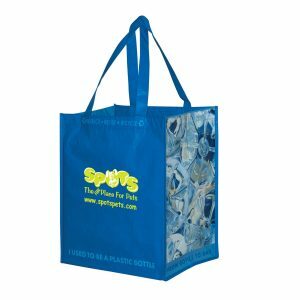 In addition to one of the largest inventories in the business of reusable tote bags, we offer custom plastic bags and imprinted paper bags at wholesale prices. Each will feature your company imprint for a promotional advertising product that is tough to beat in regards to effectiveness and affordability. That is what you call putting your advertising dollars to good use. Take a look at our complete line of products at customgreenpromos.com. You can reach our customer service team at 888-565-2235. They are ready to assist you with any questions you have about all of our products. They are well trained, experienced, and very friendly. Call us today! Our natural color laminate material provides a subtle canvas-like appearance. 105 combined GSM matte laminated tote bag. 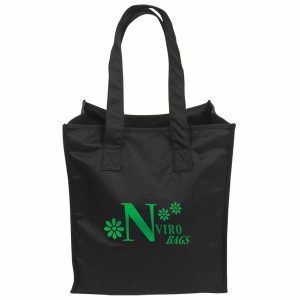 with a large non-woven polypropylene pocket on the front for your imprint. 18” handles. Contains 20% post-industrial recycled content. Optional plastic bottom insert available.